The charting a couple’s relationship before, during and after the outbreak of the Second World War. 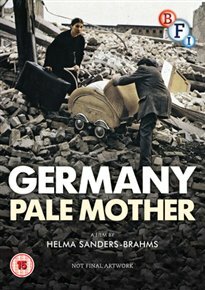 After marrying his pregnant girlfriend Lene (Eva Mattes) the day before war breaks out, Hans (Ernst Jacobi) is conscripted to fight for his country. . Now alone in Berlin, Lene gives birth to their daughter Anna (Anna Sanders) but becomes increasingly frustrated with her absent husband’s minimal visits home while on leave. After her house is destroyed during in an air raids, Lene takes Anna and leaves the capital to join her family in the countryside. Struggling to provide for her daughter, Lene is relieved when she is again reunited with Hans following the end of the war, but in its aftermath, the couple find it difficult to rekindle their love for one another.